The need for skilled IT operations- and support technicians remains, and it seems to be no end to the demand, on the contrary, it will increase. The opportunities that digitalisation provides requires an expertise in IT and Tech where services and knowledge of a functioning IT environment are crucial, both on a client and on a server level. Sigma IT Tech has been operating in Gothenburg for one year and are successfully established in the market, supporting customers with onsite IT operations and support technicians. To meet the high demand, the business is now expanding to Stockholm where Sebastian Uramek has been appointed Business Unit Manager. –It is with great joy and pride that we welcome Sebastian as responsible for our business in Stockholm. Sebastian's experience, expertise and personality will be a great asset for the whole company. Sigma IT Tech is a strong addition to Sigma's offerings, and we are particularly excited about this expansion to Stockholm. We have seen a great need for operations and support consultants onsite at our customers for a long time, says Jenny Sander, CEO at Sigma IT Tech. As Business Unit Manager in Stockholm, Sebastian Uramek will support customers in the eastern region with services within onsite IT operations and support. He will also be responsible for both sales and recruitment during the start-up phase. 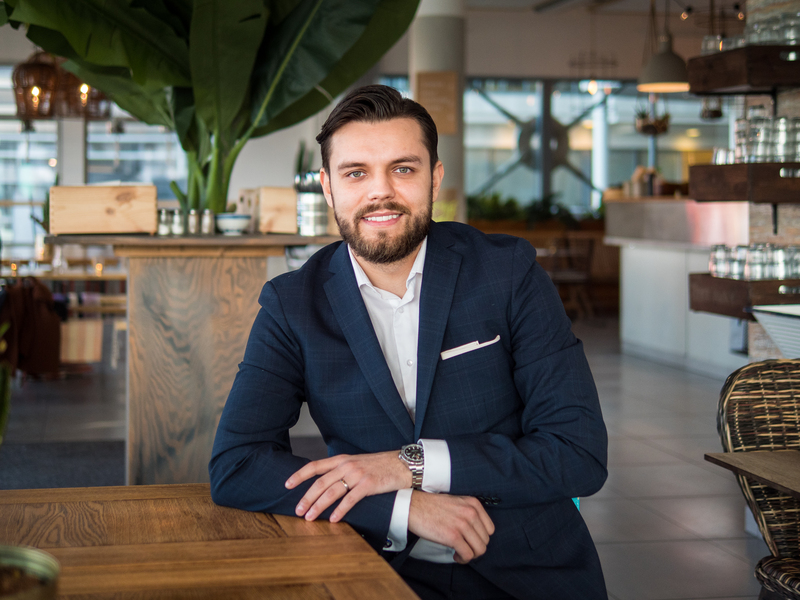 Before entering Sigma IT Tech Sebastian was Consultant Manager at Academic Work, and before that, 4 years ago, Sebastian worked with recruitment and employer branding as Account Manager at the media house IDG (International Data Group). –It feels very inspiring to become a part of the Sigma Group, that is imbued with entrepreneurship and openness, with ambitious and professional colleagues. The vision of a better tomorrow and the culture of passion and decisiveness suits me very well. Furthermore, it is an honor to put Sigma IT Tech on the map of Stockholm, concludes Sebastian Uramek. Sigma IT Tech started in Gothenburg in January 2018 and currently has 40 employees. From February 2019 the company is also represented in Stockholm. Visit Sigma IT Tech online for more information.